Eleven years in the making, Colin Strohm presents for consideration, an evening of performance entitled “Going to the Bar”. 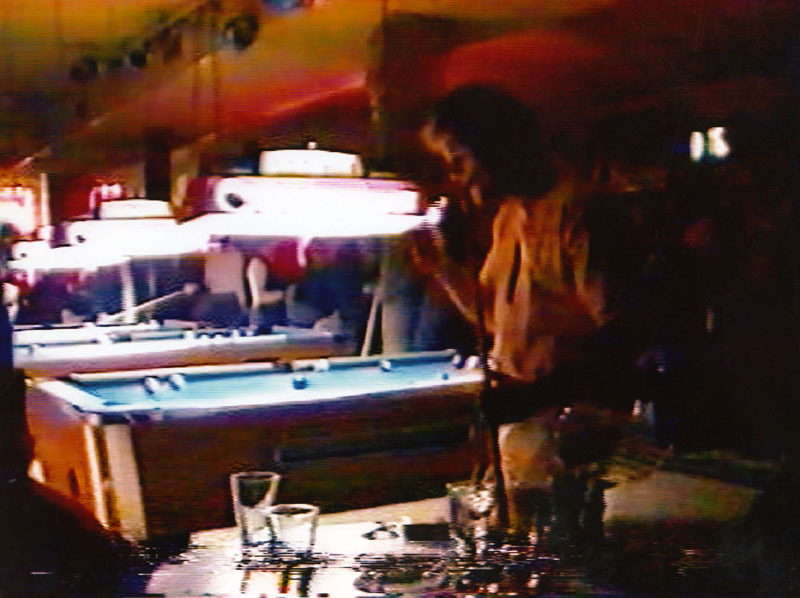 The piece will be performed from 8pm until 2am on November 13, 1996 at the Crystal Corner Bar, 1302 Williamson Street (at the intersection with Baldwin) in Madison, Wisconsin. “Going to the Bar” represents the forefront in American art especially performance, being self-reflective, critcal of the art world, and thoroughly ridiculous. Strohm has subjected himself to a rigorous training schedule of overindulgence and sleep deprivation in preparation for this event. Strohm got drunk for the first time eleven years ago, almost to the day, beginning the odyssey that has led him to this peak at which he can share his natural proclivity for alcohol with the art loving public. He has, for the past few months, been brushing up on his pool game, which should add some variety to the evening. Strohm will run a tab during the evening. The lime and straw from each drink he consumes wil be carefully preserved and cataloged as evidence along with the signed bar tab receipt. The entire evening will be documented by a stationary video camera.